Salon Guys specializes in Professional Beauty Equipment. They are a retailer dedicated to serve barbers, beauty shops, spas and to the online consumer. They have a tremendous line of products. Everything you could think of and would need for beauty. They have a super line of hair accessories, cosmetics, hair styling products, salon chairs, and also serves the industry of Nail Salons. If you see a product that they offer somewhere else they will lower their price to match the competitor. I received a few products from Salon Guys from their retail on-line business. You can visit their website Salon Guys for all your beauty needs. This brush is perfect for my hair. I have long hair and even using conditioner after the shower my hair gets very knotty. Most brushes I have used makes my hair more damaged. The hair Tamer Brush glides through my hair and gets out the knots easily and does not pull on my hair and make it more damaged. My daughter always puts extensions in her hair and she has been using this brush on her extensions. She says also it gets out any knots and does not damage the extensions. Great brush love it !! Comfy Black Microfiber Salon Towels - 1 Pack, 29" x 16"
section my hair while blow drying, curling and straightening. These clips are amazing. 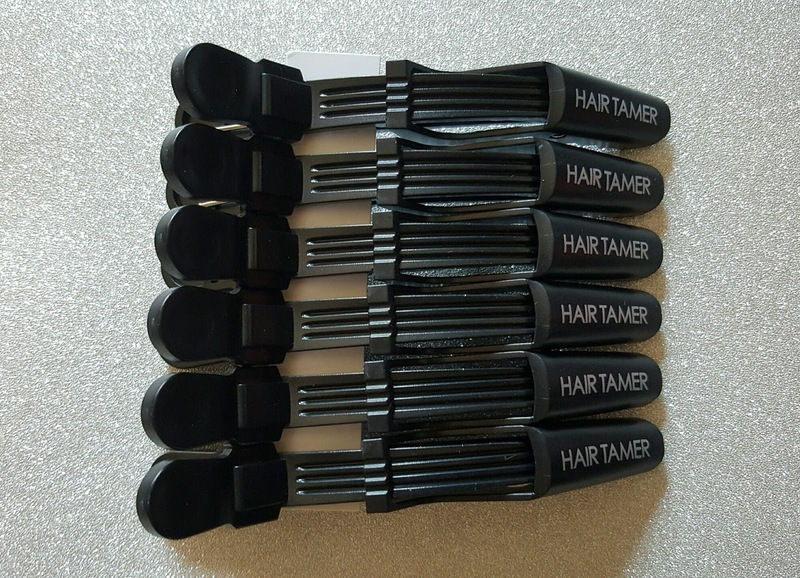 It is so much easy and they hold nice and tight when I section off my hair and use the blow dryer. These Croc hair clips are nice and long and so easy to work with. They are made of sturdy durable plastic and I will get great use from them. I received these products complimentary courtesy of Salon Guys to try and give my honest and unbiased opinions of their products. I use lots of different beauty products, so I would love to check out a Salon Guys store. I bet they have everything I would need there. I love those hair clips! I've never heard of Salon Guys, but I'm off to check them out. I had rather shop online any day that rush around all day trying to find what I need. I never do anything to my hair ( just don't have the patience! LOL I love some of these hair clips! I will check them out and see what they have. I do like to put pretty stuff in my hair every once in a while. My hair is always so tangly, so I will definitely have to check out that brush! I've never heard of Salon Guys, but it sounds like something I should check out!! 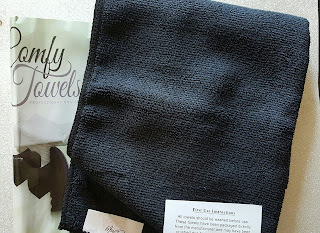 Oooh, those microfiber towels sound like a great idea for my tween. She has SO MUCH HAIR and it takes forever to dry. Would love to check out Salon Guys! 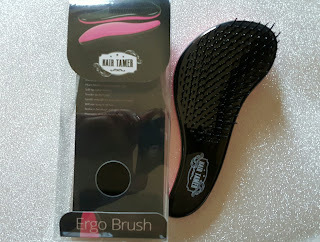 I would love to try the Hair Tamer Brush. My Daughter has a microfiber towel and she loves how fast it dries her hair. I think those clips would be perfect for when I'm straightening my hair! I like that towel also as it would really soak up all the moisture. I try not to do anything to my hair cause it's on a recovery. But, I would definitely try that towel, sounds amazing! The detangling brusssh would be nice to have. Then again, the microfiber towel sounds great too. I like that the clips are nice and strong. It is so hard when they're not. Sounds like a really awesome shop. I really want that brush. I think it would be great for my hair. I actually never heard of Salon Guys, but I'll definitely have to check them out sometime. I love hair products! Salon Guys is new to me but sounds like a great resource. I can imagine that this is very helpful for those who own salons or frequently have to purchase hair products. Thanks for sharing. I would love to try that microfiber towel and that brush! It would be awesome for my kiddo as well!